The work that goes into Edorble comes from Belgium, California, Russia, Spain, Bosnia + Herzegovina, and India. This mix of nationalities can be attributed in part to circumstance and market forces, but my co-founder and I from the beginning wanted to put together a team from a variety of countries, preferrably across continents and time zones. Edorble was always intended to have a global impact, and we want the team to reflect our core belief that remote collaboration can be personal, playful, and powerful. We really believe it, and we want our team collaboration to exemplify it. One aspect of this is simply logistical. Teachers in about 30 different countries are trying out the beta of Edorble. For us to be as responsive as possible to emails and support tickets, it's nice to have someone "on" for as many hours of the day. Because we're in a variety of time zones, it's usually the case that someone is responsive no matter the time or time zone. The other aspect of this is perspectival. With users from all over, it's more valuable that our team has different perspectives, experiences, and sympathies. My Belgian co-founder Cederik is often far more understanding of the needs and vocabulary of our European users, for example. Our Russian developer Dmitri has a valuable understanding of the Russian school system and pedagogy that only he can bring to the table, having grown up there. 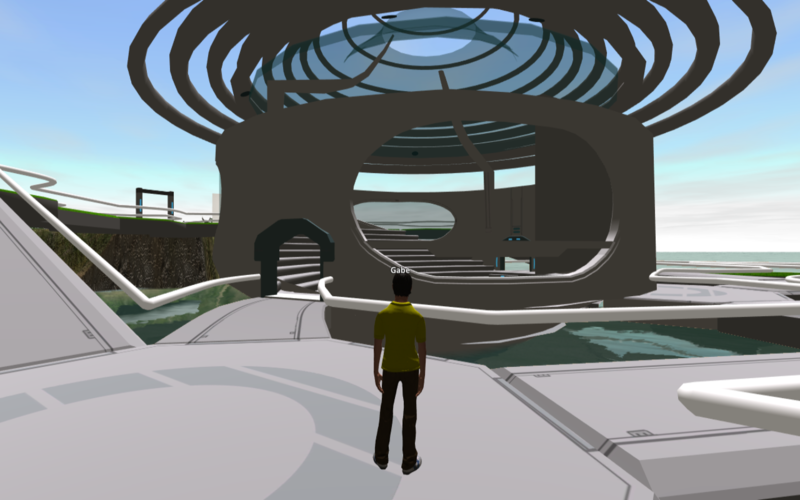 Edorble is somewhat unique in the virtual world space in that we provide an "out of the box" solution - it's not for building, a la Minecraft (yet), and while avatars can be customized, the design of the world can't be. We can make a custom world for you, but otherwise, Edorble is what it is. This is by intention, because this is what makes it so easy to use as a collaboration space. That being said, it poses some challenges, since we have to make our best guess at what might be functional and beautiful to as many users as possible. The more input we can get from around the world, the more perspectives we can consider and build for. We know avatar diversity is incredibly important to users, and we've made beginning steps towards our goals here (skin + hair color). We recognize that we have a ways to go, and the fact that we have people on our team that look different from each other will help us out. When they're in Edorble, we want teachers from all over to feel like they are in a space that doesn't necessarily look "American". We don't want the space to look conventional from any country's standards - this is why we chose an abstract architectural design for our auditorium. We like the idea of it being equally strange and cool to everyone, instead of looking particularly realistic or conventional according to any cultural standard. We're Forced to Really Examine Our Product - Can We Use It? As a team trying to think creatively together and "get stuff done", despite working remotely, we share some of the needs of online classes and educational collaborators. This puts is in a good position to evaluate our product. We know that we don't share some of the particular needs of teachers and students (grading or permission controls, for example), but nevertheless it needs to work effectively for us in order for it to be useful for teachers and students, especially those that are collaborating from around the world. This is why we hold one-to-one meetings in Edorble, and will be holding our team meetings in Edorble as well. The "orb" in the name Edorble is from the Latin word orbis, which means circle. 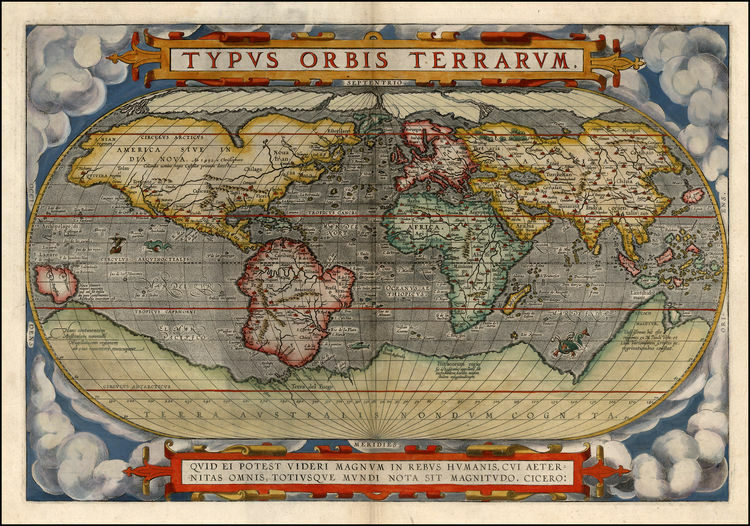 The term "orbis terrarum", literally translated as circle of lands, was the Latin term for "the world" or "globe". Edorble is being built for the world, and the composition of our team helps us towards that goal. Yes, one of the Edorble co-founders is a Latin nerd.